THIS WEEK, A trove of documents were released detailing how massive corporations and high-earning individuals move their incomes around the world to avoid paying high rates of tax. Dubbed the Paradise Papers, they were first published in the German newspaper Süddeutsche Zeitung, revealing 13.4 million documents from 120,000 clients of the Bermuda law firm Appleby. 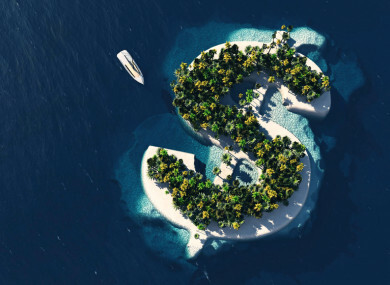 According to the BBC, the name “Paradise Papers” was chosen because of the “idyllic profiles of many of the offshore jurisdictions whose workings are unveiled”, while also dovetailing “nicely with the French term for a tax haven – paradis fiscal“. The documents were then shared with the International Consortium of Independent Journalists leading to a series of stories about how companies move money around the world to avoid tax. What’s important to note about the Paradise Papers, is this kind of activity is legal – they’re a series of tax loopholes that many argue is just smart. It does however shed a light on private interests of the royals, celebrities, and companies and their operations, as well as spark a debate about whether a more comprehensive tax law is needed. It’s also sparked a debate about whether it’s moral to publish tax documents and legal advise indiscriminately, and whether the right to privacy lessens with the more money and influence an individual, or a business, has. U2 frontman Bono is shown in the leak to own a stake in a Maltese company that bought in 2007 a Lithuanian shopping mall via a Lithuanian holding company, which may have broken tax rules by using an unlawful accounting technique. The singer later issued a statement to say that he was “distressed” by the leaked documents. He said he had been “assured by those running the company that it is fully tax compliant”. Apple and Google have both been asked to appear before the Public Accounts Committee next year following the Paradise Papers revelations. According to the Guardian, documents show that Apple reacted to criticism of its tax affairs by secretly moving parts of its business to the island of Jersey, which offers attractive tax structures. Meanwhile, the BBC reported that three cast members of Dublin comedian Brendan O’Carroll’s hit sitcom, Mrs Brown’s Boys, had diverted millions of pounds through a tax-friendly offshore scheme. According to the British broadcaster – which airs the Bafta award-winning comedy – Patrick Houlihan and husband and wife Martin and Fiona Delany had transferred more than £2 million in fees into a Mauritius-based trust and sent the money back as loans. Fiona Delany is the real-life daughter of O’Carroll and stars as Maria Brown on the show. Her husband, Martin, plays Trevor, while Houlihan plays Dermot Brown. Houlihan gave an interview to the Irish Times, a partner of the ICIJ, in which he claimed he doesn’t understand the tax scheme used for part of his income. The Irish Times reported that the Paradise Papers showed that many corporate activities by business tycoon Denis O’Brien are conducted through companies housed in the Isle of Man. The self-governing island has a zero corporation tax rate and charges no capital gains tax nor stamp duty. The British crown dependency has denied it is a tax haven, while there is no suggestion that any of the structures reportedly used by O’Brien are unlawful. O’Brien hasn’t yet responded to the reports. Queen Elizabeth II has, through the Duchy of Lancaster which provides her income and handles her investments, placed around €11.3 million of her private money in funds held in the Cayman Islands and Bermuda. The funds were reinvested in an array of businesses, including controversial rent-to-own retailer BrightHouse which has been accused of exploiting the poor. Her son, Prince Charles, has invested millions of pounds in offshore funds and businesses, including a Bermuda-based sustainable forestry company once run by a close friend. The US Commerce Secretary Wilbur Ross holds a 31% stake in maritime transport company Navigator Holdings through a complex web of offshore investments. In Canada, Prime Minister Justin Trudeau‘s top fundraiser and senior advisor Stephen Bronfman, heir to the Seagram fortune, moved some $60 million to an offshore haven in the Cayman Islands. Brazil’s economy and agriculture ministers, Henrique Meirelles and Blairo Maggi, are also cited in offshore companies in tax havens. Pop star Madonna bought shares in a medical supplies firm, according to the New York Times, while Radio France said she had invested in a firm that gained from taxes on virtually non-existent capital gains. Britain’s four-time Formula One champion Lewis Hamilton avoided paying taxes on a private jet, receiving a £3.3 million Vat refund in 2013 after it was imported into the Isle of Man, a low-tax British Crown Dependency. Colombian singer Shakira who lives in Barcelona, was domiciled in the Bahamas for tax reasons and transferred 31.6 million euros earned in royalties to Malta, France’s Le Monde newspaper said. US sportswear giant Nike used a loophole in Dutch fiscal law to reduce, via two companies based in the Netherlands, its tax rate in Europe to just two percent compared to the 25% average for European companies. The taxi-hailing app Uber and the manufacturer of Botox, the Allergan pharmaceutical laboratory, allegedly used similar methods to Nike. The Paradise Papers also revealed that Russian companies with links to the Kremlin invested hundreds of millions of dollars in Twitter and Facebook. Email “Here are the Paradise Paper highlights - and why they matter”. Feedback on “Here are the Paradise Paper highlights - and why they matter”.